TS2 is the perfect solution for every public-sector customer’s ICT service requirements, including services at all government security classification levels. Having delivered many contracts via the previous Technology Services Framework to customers across UK Government, being part of the TS2 framework further broadens Version 1’s reach and capability for their public-sector customers. 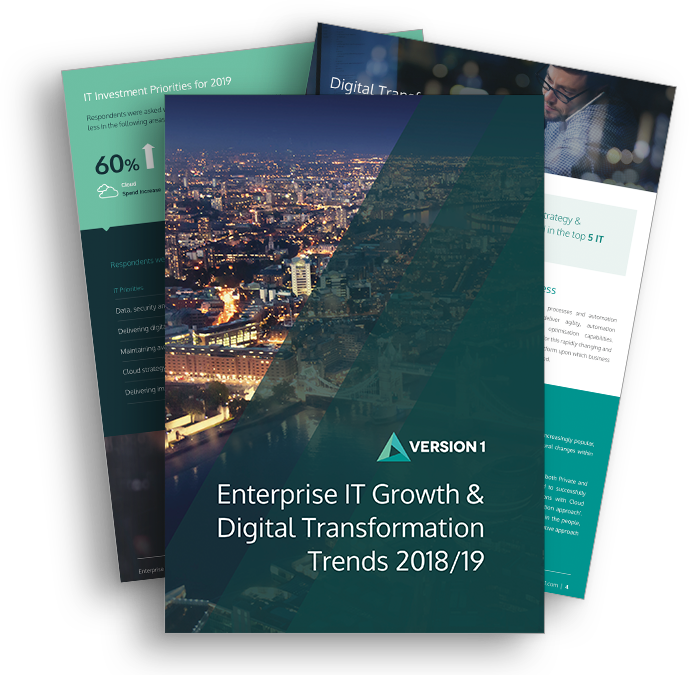 Version 1’s public sector solutions are proven to reduce operating costs and support the Government’s agenda for digital and cloud first, whilst ensuring availability and reliability for key enterprise systems. For developing or enhancing ICT strategy and service design, this lot provides access to the specialists that are able to help. Everything from business capability assessments through to the specification of the applications and toolsets to deliver ICT services. Version 1’s positioning on this framework, together with our extensive service coverage already available through the Digital Marketplace (i.e. G Cloud and Digital Outcomes and Specialists), leaves Version 1 well-placed to deliver our innovative transformational products and services across central government, the wider public sector and beyond. For more information on Technology Services 2, or Version 1’s UK Government service offering, please contact us or follow us on LinkedIn or Twitter.